Last year Sciblogs Siouxsie Wiles pointed out in an open letter to Lego that they could do a better job with regards to overcoming gender stereotyping. 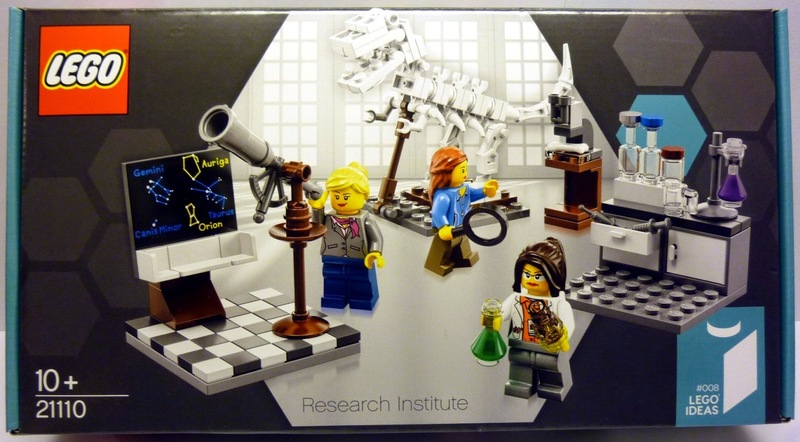 It appears that Siouxsie’s suggestion coincided with other similar complaints and that Lego have now done something towards that – excitingly in the area of science by producing an all female Lego Research Institute. It is so cool. The Lego chemistry lab looks awesome. Also by combining three different areas of science it may also encourage children to see science as involving collaboration between different fields. So with a single set Lego are promoting science, women in science, and collaboration in science. Fantastic. Is that a very determined Siouxsie Wiles holding the flask of green goo?? Great facial expression! The astronomer has a “Heh! Found another Double Planet!” look. You get a great view of this scene by going here and hovering over the parts of the image. Thanks Ross, that is great website which gives a close up view of the set. Now they just need to provide a pink coloured hair to go with the set (I’m sure a combination of the microscope and the chemistry section could make a good microbiology lab. Why is it I can’t help thinking Lego just went, What’s the bet this stuff will sell and so we can make a few bucks, so lets go for it! Absolutely, I’m sure Lego took into account the profitability of such a set. Siouxsie is currently fulminating because she can’t get her hands on a set Right Now. I’ve decided I’d quite like a set of my own, Michael 🙂 This has generated considerable amusement in my family.